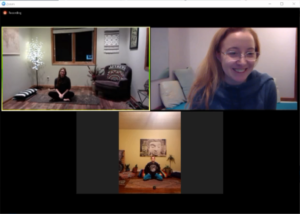 Since people with CF can’t safely share the same physical space (due to the threat of cross-infection), our virtual yoga studio reaches people in their own spaces in their own homes. We’ve created our program with the intention to bridge that physical distance any way we can. CF Yogi’s virtual yoga studio lets students and teachers communicate with each other in real time. 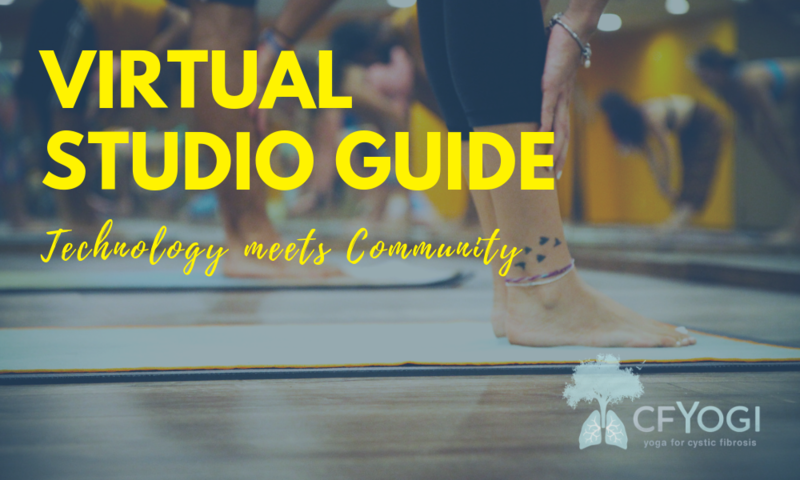 Let’s walk through the technology setup, and the experience of taking a yoga class in a virtual space. For the best experience, you’ll want to join us from a device with a video camera and microphone, so that we can both see and hear you (like a laptop, iPad, or smartphone). We are using Zoom as our videoconference platform, and it works with all of the above devices. We highly recommend heading over to zoom.us and creating a free account linked with the same address you used to register for CF Yogi. Download and install the mobile app for your Apple or Android device, or the desktop client for your laptop. Sign in from your device, test your audio and video, and you should be all set to join your first class! Keep your eyes peeled for your CF Yogi class invites! These emails will arrive from hello@cfyogi.org, and will contain all the date/time information as well as the all-important Zoom link that you will need to sign up for the class! Follow the registration link and sign up to add your name to our class roster. Your confirmation email will include instructions for joining the meeting, plus a link to save the event to your calendar. We highly recommend saving the invite to your Google or Outlook calendar, and setting your reminders so you don’t forget! We’ll send reminder emails out the night before, but you should set your own reminders too so you’ll be sure not to miss it. 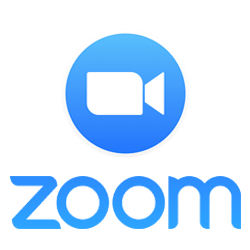 Follow the Zoom meeting link in the Class Invitation email or calendar appointment, which will automatically open the meeting in your Zoom app or in your browser. Please make sure you’re signed in, so we can keep accurate attendance! When you arrive in the room, your microphone should automatically be muted. This is to reduce any audio feedback, and keeps the virtual meeting space from becoming an echo chamber! As a general rule, keep your microphone muted unless you want to speak, and then feel free to unmute yourself. As long as you’re not interrupting anyone else, don’t feel you have to raise your hand…. the teacher can’t necessarily see everyone who is in the room! A broadband internet connection is highly recommended, since video does take a lot of bandwidth. If your connection gets sketchy during class, try turning off your video camera (so you can still see us, we just can’t see you). That can take a big chunk out of the demand you’re placing on your device and internet connection. Take a few minutes to get situated when you first arrive (the actual class will start about 10 minutes after the meeting start time). Create a space for yourself where you have some room to move, a good wi-fi signal, and minimal background noise. Props: like a blanket or towel to sit on or cover yourself with, a yoga block or sturdy water bottle to bring the floor up to your hands in certain poses, or a long strap to improve stability or sensation in certain poses. Pre-class poll: a quick survey about what you’re feeling that day in your body and what you need in your yoga practice. This is more likely to be necessary in larger classes where the teacher can’t necessarily see or talk with everyone in the room. Within Zoom, you have the option to change what you see on your screen. You can choose between “Gallery” view (where you can see a bunch of different talking heads in smaller windows) and “Speaker” view (where you see only person currently talking, in a large window). “Gallery” is nice before and after class so you can chat and recognize friends. “Speaker” view is usually best for the actual class. Before starting class, the teacher will ask about any physical considerations you need for your practice that day (either verbally or through the above poll survey), so that they can offer you some options or modifications during class. The teacher will formally start class, introducing themselves and giving a high-level overview of what you’ll be doing in class that day. You might hear the teacher mention that they’re starting the recording – the recording will be in “speaker view” so that only the teacher will be shown. During class, if you have questions or are unsure about whether you’re safely aligned in a certain pose, you’re welcome to unmute yourself and ask. The teacher can’t see you or monitor the chat window during class, so your voice is the best way to get the teacher’s attention. Just as the social element is key in a physical yoga studio, so it is in a virtual one! After class you’re welcome (encouraged, even!) to ask questions and mingle for a bit. (That’s why we’ve scheduled 90 minutes for classes instead of 60… so we have time to chat before and after the meaty part of the yoga class). But we get that sometimes after savasana and the final “namaste” you’re in a good head space and just want to slip out quietly… and that’s totally OK, too. If you do stay to chat, be respectful of other people who may wish to speak. CF Yogi is a safe space, free of judgment, expectation, or competition — where all should feel welcome and supported. Please keep conversations confidential unless you’ve received explicit permission from the speaker to share something they said outside of the CF Yogi circle. A Zoom link to the class video recording, so you can view (or re-view) it on your own schedule. Class recordings will be available for approximately two weeks after each class. A post-class survey requesting feedback about the practice, instructor, and impacts of the class. Please complete this survey after you’ve completed the class (whether in-person or via the recording). A note about surveys and recordings: Classes that get high ratings will be “nominated” for inclusion in topical courses that may live as perennial content on our website or on other content partner websites. Last But Not Least: Keep. Showing. Up. The benefits of yoga are greatest when you have a regular yoga practice. Many of you know this already… an overwhelming majority of you indicated during registration that you wanted to practice yoga at least once a week, and that one of your biggest challenges is motivation and accountability. We’ll do everything that we can on our end in order to help! Our teachers will do everything they can to encourage you and to help you recognize your progress. We’ll send invites with calendar appointments and reminders. We’ll make class recordings available so you can practice in your own time. And we’ll work on our plans for growth, so that we can add more classes at different times (e.g. Weekday morning, Sunday afternoon). But one thing that we can’t do, is make your commitment for you. You’re the only one who can choose to keep showing up. To choose to keep your priorities where you want them to be. To choose to create the space in your life for yourself…. and the things that make you happy and healthy. We’ll be right here beside you, every step of the way. Let us know if you have a question you don’t see answered here! We’ll keep updating this post as we work the kinks out of our class hosting process!